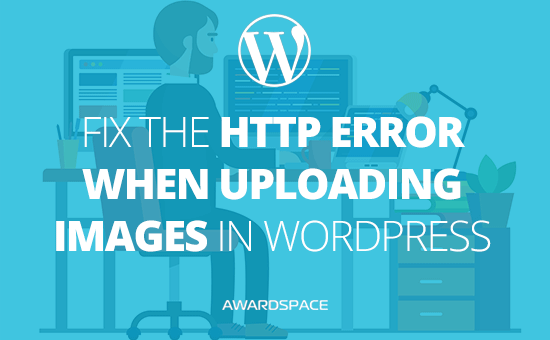 The following tutorial provides information regarding the message HTTP Error when uploading images to WordPress, including solutions to fix it. Since the 4.9.5 release, many WordPress users have started to experience an unforeseen error message upon uploading image files to their Image Library. The screenshot provided below shows an example that illustrates the error discussed here. There are many possible reasons for this strange behavior. However, the most common one is a restriction in WordPress which does not allow the upload of pictures with high resolution. There are several things you can do to troubleshoot and resolve the outlined error. Below is a list of suggestions (solutions) which we hope you find helpful. One way to resolve the HTTP Error in WordPress is by upgrading your Content Management System to the latest stable version. The latest WordPress version (4.9.7) contains a fix against this bug and also provides an extra layer of security to your website. In order to increase the maximum upload size and script execution time limit on the account, you will need to make a slight modification to your web server’s PHP configuration (PHP.ini) file. Note: Full access to the PHP.ini file is only given to our premium users. Therefore, if you’re on a free plan and are interested in upgrading your account, you are more than welcome to review our premium offers at our WordPress hosting page. Another way to overcome the outlined error is by optimizing your photos and reducing the size of your image files, especially if they’re larger than 3000 x 2000 pixels. Full size images consume a lot of time and storage, so it is advisible that you optimize your photos prior to uploading them to your WordPress site’s Image Library. Now that you have followed the above steps, it’s time for you to test your WordPress site’s upload capabilities. In order to do so, log back into the admin area of your website and navigate to the Image Library page. If everything goes as expected, your upload will go through and your image file will appear in the Media Library.